A cult LA cacti store now has a location in New York — at least for the season. 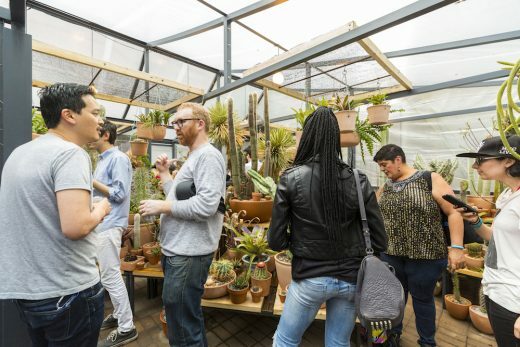 So, while the sun shines, check out Cactus Store’s Lower East Side popup site and admire its collection of exotic cacti — which run anywhere from $30 to $4,000, if you’re interested in taking one home and making it your own. Most of the cacti on display are rare, including a few that are part of a private collection and not for sale. All the plants were shipped from California, but drawn from across the world, especially South America and the American southwest. “True cacti,” as distinguished from related flora, are always from the New World, explained manager Han Wang. Cactus Store’s collection includes several “mutations” — cacti that have grown into strange shapes — and “grafts,” where two plants fuse together and one plant draws its water and nutrients from the other. After three decades in Manhattan, the Chelsea Garden Center is now a Brooklyn-based operation. The flower and landscaping shop opened in Williamsburg last Monday, at 87 Havemeyer Street. Jessica Windhausen, an employee, told us it lost its lease on the corner of 44th Street and 11th Street because a new building is in the works.